There are 3 distinct stages of Chiropractic care including Relief or Acute care, Corrective care, and Maintenance Care. Relief/Acute care focuses on immediate but sometimes temporary alleviation of symptoms or pain. This is the first stage of care and will work to reduce acute inflammation and restore normal joint/muscle function through soft tissue work, deep tissue laser, rehabilitative exercise and chiropractic adjustments. Relief/acute care can be temporary if the underlying cause of the injury is not addressed. Many times patients present with acute inflammation due to micro-trauma (repetitive stress) or macro-trauma, which can be caused from a slip, fall, or injury. This trauma can lead to damaged soft tissue structures such as muscles, ligaments tendons, and cartilage and can result in faulty movement/muscle patterns causing overly tight or weak muscles. Relief/Acute care focuses on immediately reducing inflammation/swelling and pain but many times is temporary and will last about 2 weeks. Corrective Care takes longer but ultimately addresses further soft tissue damage and faulty movement patterns. 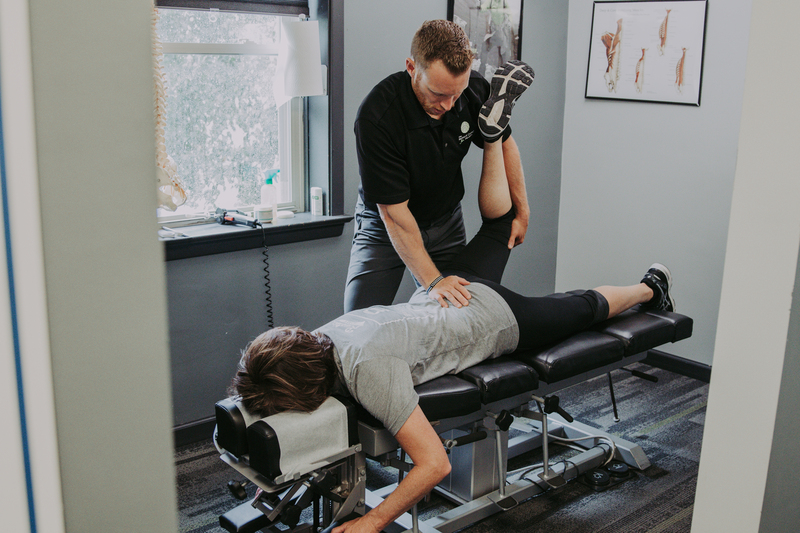 This type of care continues to include soft tissue treatment to improve damaged muscles/tendons/ligaments, and also works to improve joint motion throughout the spine and extremities with Chiropractic adjustments or mobilizations. Rehabilitative exercises are also prescribed to begin improving muscle function, movement patterns, and elimination of poor postures and daily stressors. Some considerations in the length of this phase include patient age, underlying joint/muscle damage throughout the spine and extremities, diet/nutrition, and other emotional/physical stressors which may need to be addressed. A corrective care plan can last from 4 weeks to 3 months depending on the previous stressors explained. Maintenance care is the final stage of a Chiropractic treatment plan which can vary from patient to patient. This phase includes continued exercising, stretching and daily/weekly/monthly rehab and postural exercises to prevent or limit future injury from occurring. 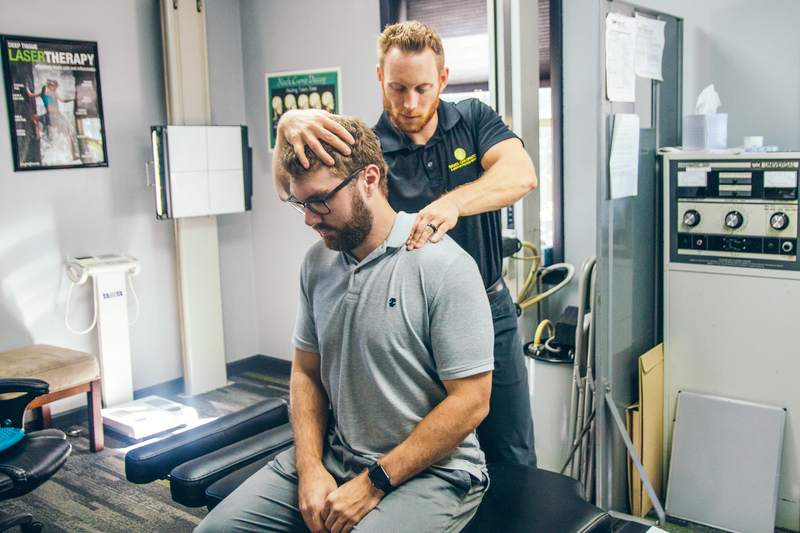 Regular chiropractic maintenance care varies from patient to patient and appointments can be recommended from 1 month to 6 months depending on stressors that you place on your body, your day to day habits/movements, and exercise frequency and intensity. If you are hard on your body whether it be through work or daily exercise can require more frequent appointments to reduce or eliminate your risk for future injury. Maintenance Chiropractic care allows for improved posture, better athletic performance, reduced injuries and an overall pain free lifestyle. This type of care can also save time and money by keeping minor problems from becoming more serious. 1 MK, Machaly SA. Does maintained spinal manipulation therapy for chronic nonspecific low back pain result in better long-term outcome? Spine.2011;36(18):1427-37. 2 Cifuentes M, Willetts J, Wasiak R. Health maintenance care in work-related low back pain and its association with disability recurrence. J Occup Environ Med.2011;53(4):396-404.